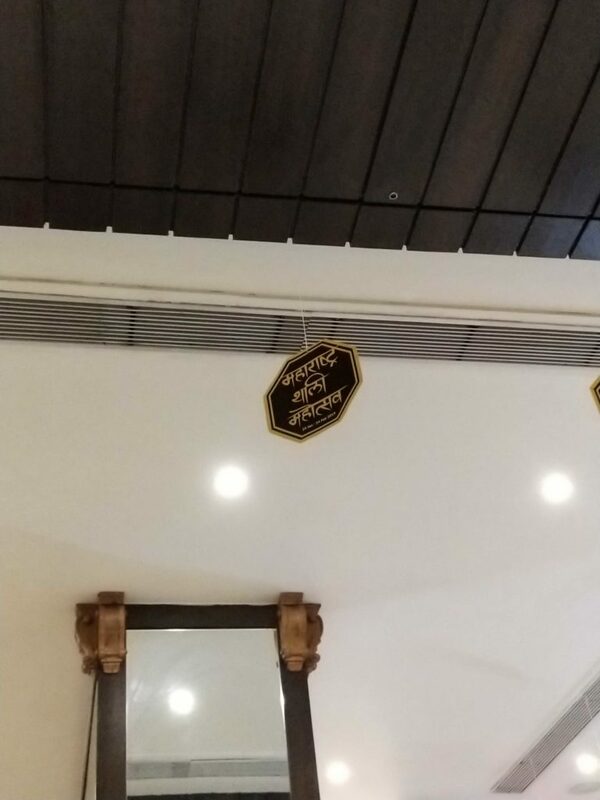 Well, let us start with the main entrance of this Restaurant. It is right opposite the Vashi station. Once you get out of the station, just walk out to the right and you will see the iconic Hotel Vasundahara. Right next to it is the newly launched Hotel Rajmanya. Strategically located with a Big display make it stand out. The staff was courteous and they have a very well orchestrated team out there. My congratulations to the whole Team Rajmanya for this. The grand Tutaari sound while entering makes everyone feel Royal. The Restaurant has a seating of about 55 people. 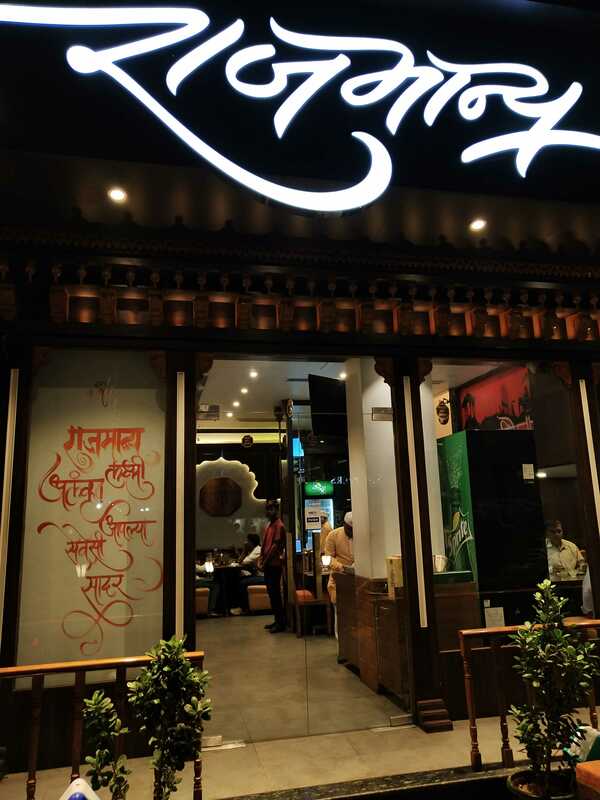 The walls are beautifully done with the cuisine names in the form of Mudra (currency) during the Shivaji Era. 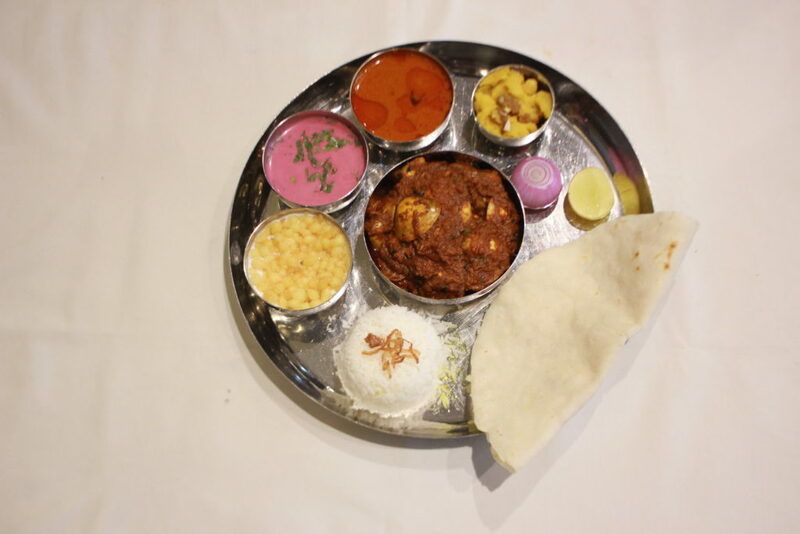 The condiments on the table are also very interesting and from the Interiors of Maharashtra. 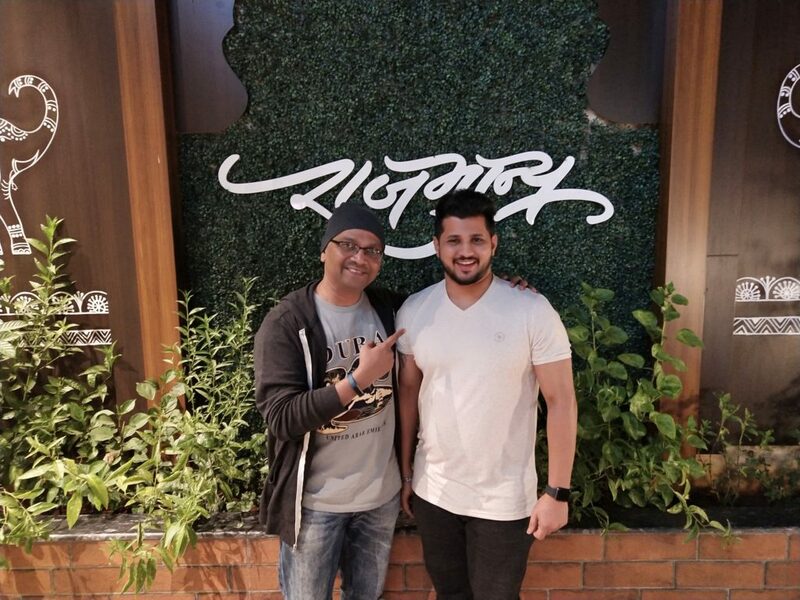 I wanted to see the #MaharashtraThaliFestival and hence went with my family to check out the food here. We got a very warm welcome and were made to sit as per our choice. 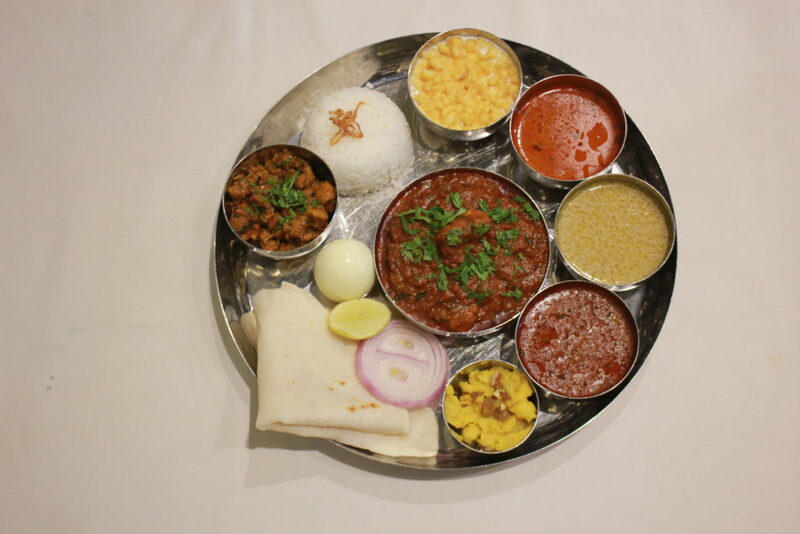 The options available during the festival are Kolhapuri Thanli, Malwani Thanli, Aagri Thali, Puneri Thaali, Tuljapuri Thali and Saoji Thali. 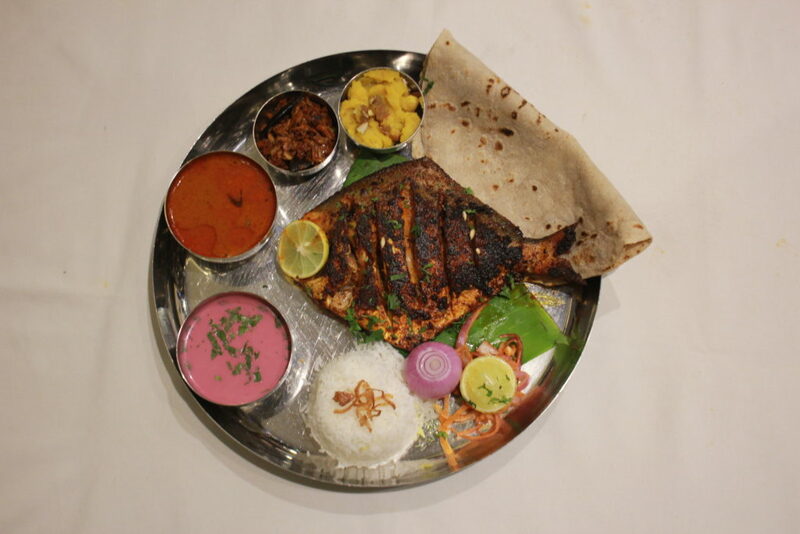 We ordered one Fish Thali and one Kolhapuri Mutton Thali. I normally have a lot to tell the chefs as a feedback after I taste the food. To my surprise, I only had to congratulate the Team in the kitchen and the Head Chef for rolling our this spread. 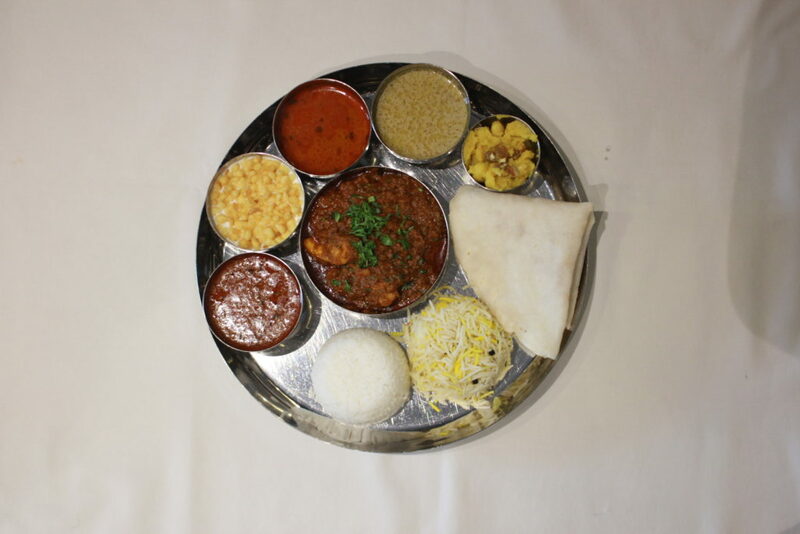 Not only is each Thali complete in its own way, it is also perfect when it comes to spices. 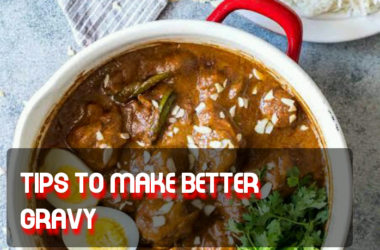 The Maharashtrian cuisine as a whole is an intelligent mix of coconut and dry roasted spices. 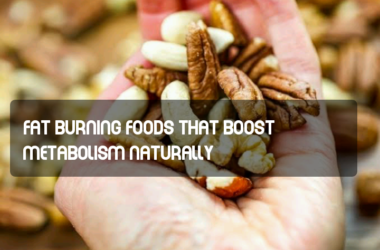 The proportion varies as per the regional cuisines. The Thalis have this perfectly balanced spice mix as per their specific region and no two cuisine have the same base of coconut and spice mix used which I otherwise see in many restaurants claiming to serve authentic cuisines. 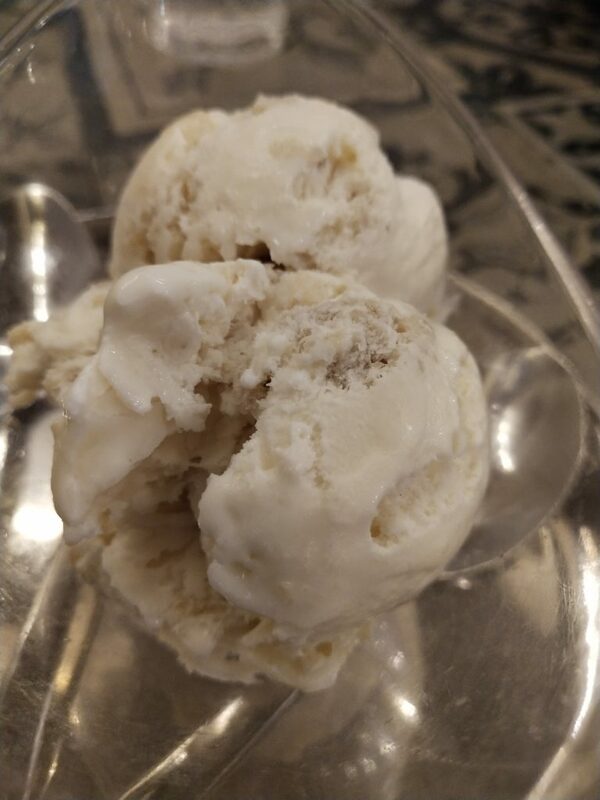 The desserts are changed every day and some of the finest Ice cream innovations are found here like the Modak Ice cream, The Til gul Ice cream and the Puran poli Ice cream. 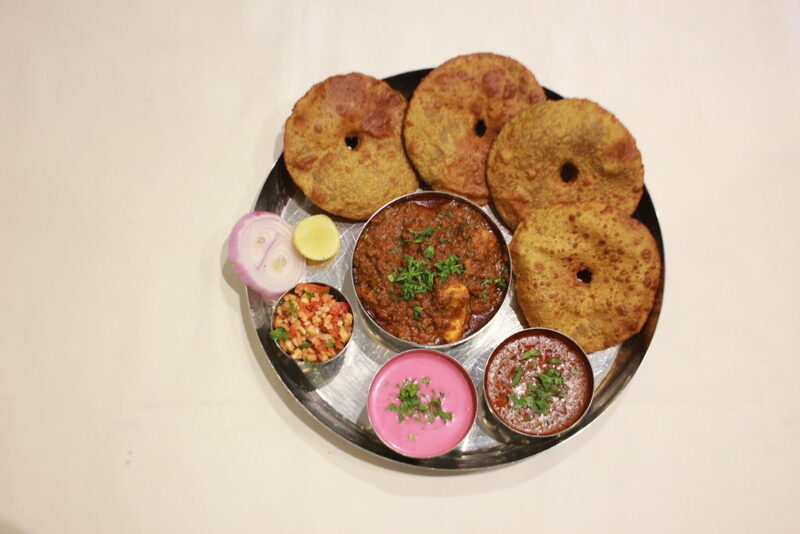 Once can finish the meal with these deserts and get the feeling of a completely authentic Maharashtrian cuisine. The desserts too are a must recommend by #HumbleChefFoodietweeter. Once the order is placed the food is served in a decent time period. Average time is about 25 minutes which is very good looking at the elaborate spread. Like I always say, as a Food blogger and chef, I am choosy about the food and look at all aspects when the end product is served. I always look at bettering the dish and the menu further to the point of perfection. While the dishes I mentioned above were pretty good, I found the fish fry needs a bit more of marination minus the lime juice put on it which actually cooks it. I gave this constructive suggestion and my two cents of the knowledge in the molecular gastronomy to the chef and the ever humble owner. 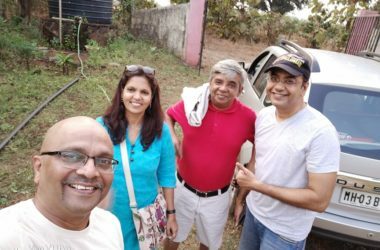 Both took it positively and I sure that we will see a much tastier fried fish the next time taking the Thali to the next level altogether. Rest all is Plus, nothing minus. I would definitely give a 4.5/5 for service and 5/5 for the food. I will give the extra 0.5 overall because I feel the restaurant has worked a lot to build a name and is trying hard to maintain it. The overall 0.5 is deducted because there is always scope for improvement of service and reduce TAT. In fact, a 5 star says that the restaurant menu has got saturated and nothing better can happen there. 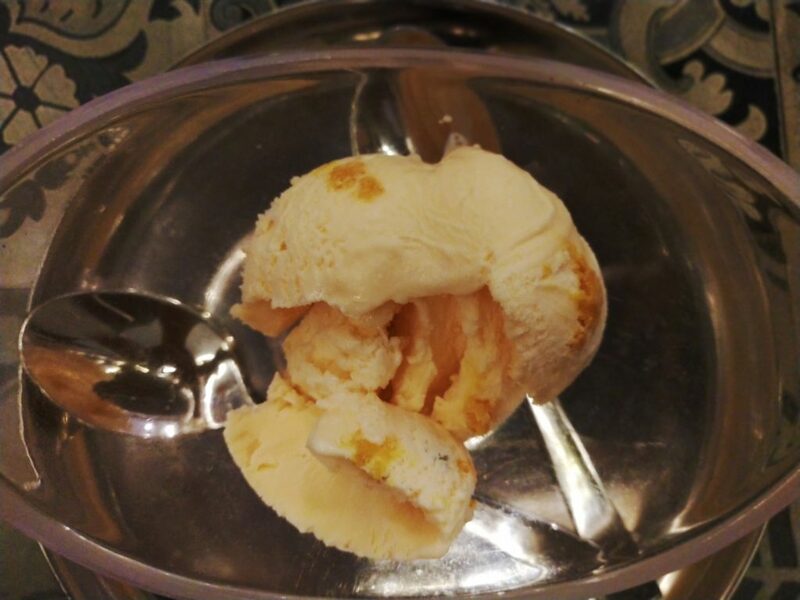 I feel Rajmanya can always improvise what they are serving and keep innovating every month. They are a young bunch who love to innovate and take calculated risks while exploring. That is the only success mantra in the food Industry today. I am sure the restaurant will take my feedback positively and do the needful. 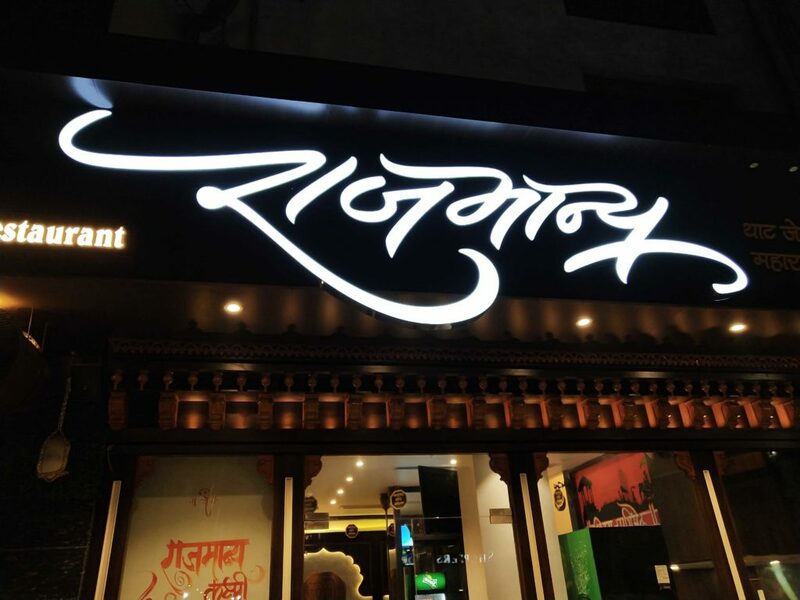 Restaurant recommended if you are looking for a wonderful Maharastra state culinary tour at one place. 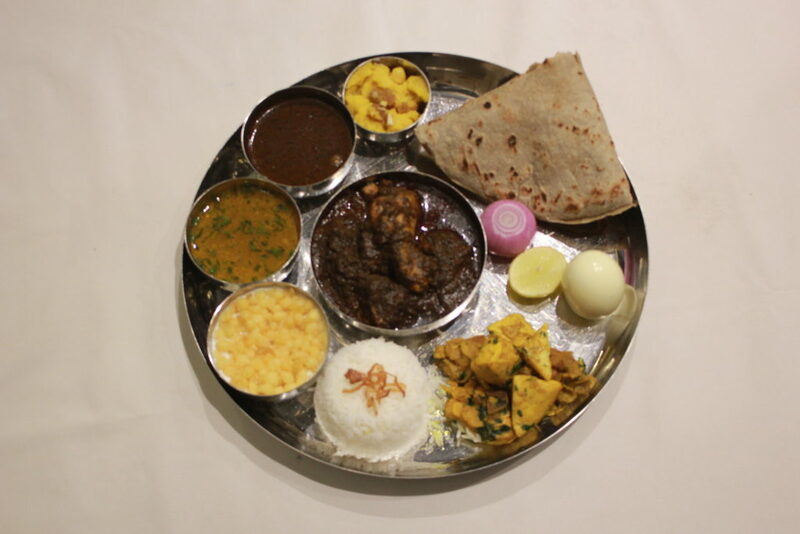 Meal For 2: 800/- approx. Utpal K., all rights reserved. Copyright Notice: No part of this Blog may be reproduced or utilized in any form or by any means, electronic or mechanical, including photocopying or by any information storage and retrieval system, without permission in writing from the Blog Author Utpal K who holds the copyright. I love the pictures of food and restaurant… totally yummy… great review UK i’ll certainly make it a point to visit it next time. This is such a detailed review. Starting from the location to decoration, food and ambience you have covered everything. BTW you are a chef? I had no idea at all. This is great because a chef come food blogger is the best combination I think. Thank you Sayeri. Yes, I am a self-trained chef who was fortunate enough to learn from the Ustaads, the Khansamahs of some age-old eateries. They taught me without holding back anything. Even today I learn so much from all the chefs I meet. I try to impart the same tips to the ones who can excel in this profession. Wow I had no idea you were a chef. Being a chef, your expertise on food as a blogger is unmatched. 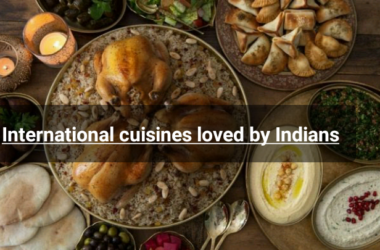 Restaurants focussing on concepts pertaining to certain eras is a great way of reviving cuisines from that period. 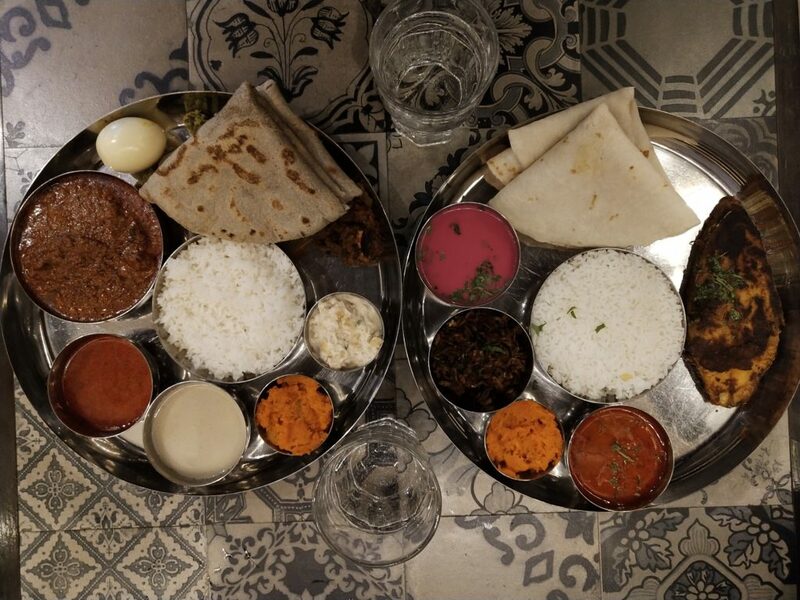 I love the different colors on the thali. 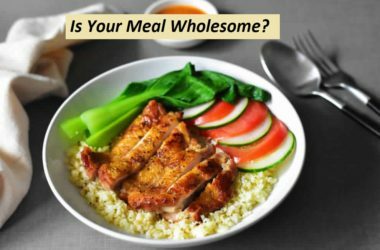 A perfectly fair review covering all aspects of your culinary experience, this is a good post, UK!